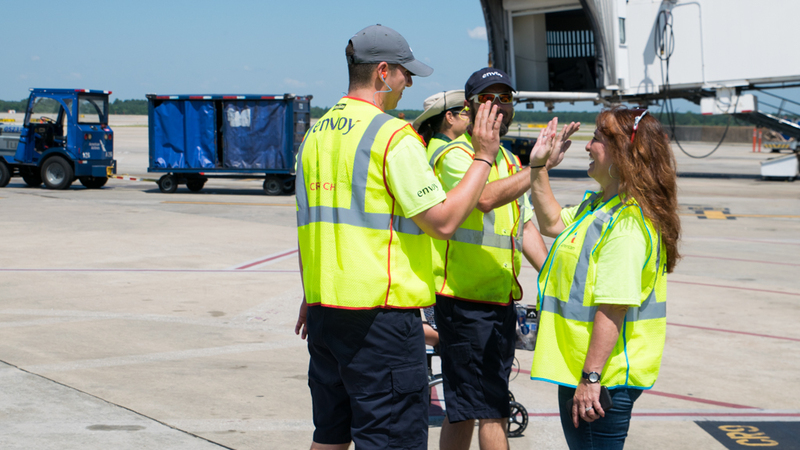 Envoy has always believed in developing our people and providing ample opportunity for personal and professional growth throughout the airline. 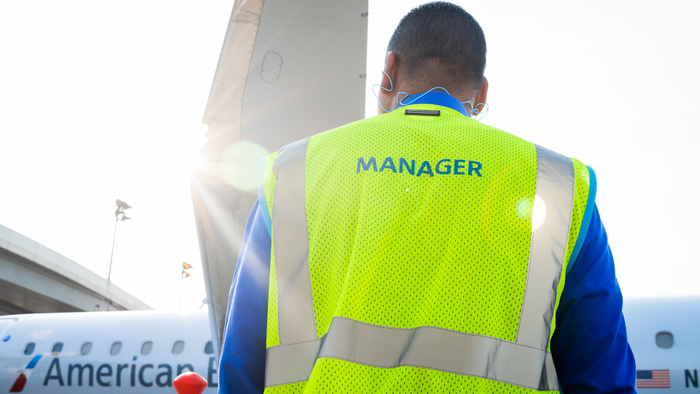 That’s why we hold various Leadership Training classes at our headquarters in Irving, Texas; to bring out the best of people who lead Envoy at the hubs and smaller airports alike. 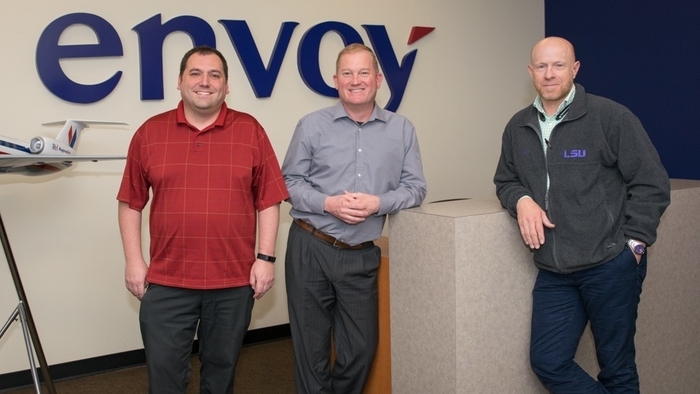 We had a chance to sit down with the three gentlemen to learn more about their success and what they value from a leadership position at Envoy. Cody: I love doing audits and focus on following procedure. Being a stickler as a Lead Agent or a GM is good because you don’t become complacent. By following the rules, you keep everyone safe and set the standard at your airport. Derrick: I think I was promoted because of my attention to detail. My agents always ask me about procedures because they know I’ll have the answer. I enjoy training agents, and I’ll do whatever it takes to bring the best out of them. Sidney: I think of myself as a servant leader who wants to see my agents succeed. I want to be an inspiration to them, but it’s not about my success. It’s about developing a great team. Why is Customer Service so important to you? Sidney: Customer Service for us is important, because it sets us apart from the competition – we should want to be the best. We’re not only in the business of flying people to their destinations, but passengers choose us because of our incredible customer service. Derrick: In air travel, passengers remember the really good experiences, as well as the really bad ones. So I try to elevate their experience and separate ourselves in a positive way. It’s great when you have a customer say, “Well the weather was bad and we were delayed, but that agent’s smile and service made it okay.” From the ticket counter to the gate, we should know that we did everything we could to make their day better. Cody: For me, I just like to give them that warm and fuzzy feeling. Working in a smaller airport, you get a lot of frequent flyers who become your regulars. I get to know them by first name, and they become like family travelling through our airport. Plus, being consistent every day with your customer service is huge. I love when a customer starts out not in the best mood, and I can eventually get a smile out of them. I take it as a challenge to make their day better than when it started. Derrick: A good leader is also a good listener. In order to lead your people you have to know about them personally. If something goes wrong, you have to listen first to what happened and use that information to take the next step in coaching. Sidney: I think selflessness is important. Go out of your way for people. Also, having a passion for your work goes a long way to inspire the people around you. Cody: You also have to be compassionate. And be human; admit your shortfalls. I like it when I challenge someone, and they prove me wrong. It shows that they’re learning and paying attention to detail. Cody: My favorite part of this job is interacting with people on a daily basis. Whether it’s customers or employees, I love getting to know them. Also, we work for such an amazing company. Ever since the merger, we’ve seen a lot of positive change. And even though Envoy is a large company, it still feels like family and I like that. Derrick: My favorite moment is when you see an agent have that lightbulb moment. All of a sudden they get it, and the time you both invested pays off when you see them take that next step. Sidney: I love that there’s opportunity all over the company. There’s a chance for everyone to move up in their career. Also, I like that every day is a different. You may be in the same airport, but every day is a new day and it doesn’t get stagnant. That’s my favorite part of this job. Join the Envoy family today! Click here to view all of our open positions.